Registration opens this Friday for California’s largest one-day transportation conference and Expo on Friday, Sept. 28 at the Disneyland Hotel in Anaheim. We’re All In This Together, the theme of this year’s Southern California Transportation Summit, promises to bring together more than 1,000 transportation stakeholders, industry leaders, elected officials and community activists. As Summit planning continues to move ahead at full-speed, we’re developing innovative breakout sessions, thought-provoking plenary sessions and unique networking opportunities. Check out the Mobility 21 Summit website to view session descriptions and learn when new speakers have been added. Registration includes access to top industry decision-makers and elected leaders, three general sessions, 12 breakout sessions and a dynamic Expo hall with over 100 exhibitors. General registration also includes a breakfast buffet, hot lunch, complimentary self-parking or Metrolink and Anaheim Resort Transportation pass and a “twilight” ticket to Disneyland or Disney’s California Adventure redeemable after 4 p.m.
Additional Disneyland tickets and discount hotel rates are availble. Online registration will begin June 1 on the Mobility 21 website. Are you still thinking about sponsoring the Summit? It’s not too late! Join the businesses listed to the right in supporting Southern California’s transportation future while getting the best access, visibility and value for your marketing dollar. Contact Marnie O’Brien Primmer to sign up today. Metrolink Board Chair Richard Katz announces complimentary Metrolink roundtrip service to the annual Summit. Click here to watch the video. Whether you plan to take transit, ride your bike, drive or carpool to the Summit, Mobility 21 is offering complimentary transportation options to all conference attendees. Mobility 21 and Metrolink are teaming up to provide Summit attendees free transportation to the Summit. Conference attendees can ride Metrolink trains for free on the date of the event by using the Summit registration printout, which Metrolink will accept as a valid Metrolink ticket. The complimentary train service will also be available on Sept. 29 for conference attendees who decide to stay overnight at the hotel. To view Metrolink’s train schedules, visit www.metrolinktrains.com. From the Anaheim Metrolink Station, an Anaheim Resort Transportation (ART) shuttle will provide free round-trip service to the Disneyland Hotel. ART, which serves visitors and residents of the Anaheim Resort district, provides local transit service from hotels to the Disneyland Resort, the Convention Center and other resort-area and neighboring destinations such as Knott’s Berry Farm and the Discovery Science Center. Frequent service to the Anaheim Metrolink/Amtrak train station allows visitors to leave their cars at home to enjoy the Anaheim Resort district worry-free. ART’s fleet, which transports more than three million guests each year, includes clean air vehicles such as electric, propane and natural gas buses. Visit Mobility 21’s website to view the special ART shuttle service schedule for attendees arriving in Anaheim by train. Or plan your bus trip to the Disneyland Hotel using OCTA’s Just Clicksystem, Metro’s trip planner or 511’s website. Why not get a little exercise before the Summit? Mobility 21 is teaming up with Bike Nation to provide free bike rentals from the Anaheim Metrolink station to the Disneyland Hotel. The Summit is just a short bike ride away from the train station and bike valet service will be provided once attendees arrive at the hotel. While complimentary self-parking is available to all conference-goers, Mobility 21 encourages Summit attendees to avoid driving alone! Visit the Summit website and use the RideAmigos Rideshare widget to find a carpool partner. 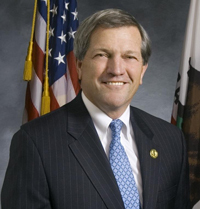 California State Senate Transportation and Housing Chair Mark DeSaulnier answers Mobility 21’s questions this month on passenger rail, transportation funding and effective project delivery. M21: Why did you introduce SB 1117, requiring the California Transportation Commission (CTC) to prepare a statewide passenger rail transportation plan? What is currently lacking in rail planning for the state? MD: This bill was introduced because it is important to have an overall policy framework for rail development. Such a plan does not exist today. This bill will ensure that the public is obtaining the greatest return on its investments in the four modes of rail transit. Although SB 375 established a policy framework that integrates land use and transportation development, this bill ensures there is a statewide framework for rail development consistent with SB 375. This bill requires the CTC to integrate the regional plans into a statewide plan. It also provides a framework for integrating the high-speed rail plans into a state-regional partnership. M21: For transportation planning and funding today, what are the appropriate roles for regional agencies and for Caltrans? MD: To date, CTC has relied on Caltrans to prepare its various documents. This bill authorizes CTC to prepare policy guidelines for the plan in consultation with the High-Speed Rail Authority (HSRA), Caltrans, regional transportation planning agencies, and urban transit and commuter rail operators. The regional transportation planning agencies would use these guidelines when developing their regional plans. To be sure, the adoption of a state rail plan encompassing the four major modes—urban transit, commuter rail, conventional intercity rail, and high-speed rail—is an enlargement of CTC’s role, but it reflects the direction of state transportation policy. Because of California’s tradition of devolving authority and responsibility for much of transportation development to local agencies and regions, CTC is a venue for providing an overview of rail investments throughout the state and for providing state policy guidance. M21: What can the Legislature do to facilitate more effective project development and delivery in California? MD: With the high-speed rail program now focusing on an incremental development strategy, which relies on existing railroad infrastructure, as well as the state and regional rail programs, the need for statewide coordination with the other rail modes and agencies will grow in importance. This bill requires CTC to integrate the regional plans into a statewide plan. Under this legislation, CTC is to submit a draft rail transportation plan to the Legislature and stakeholders by April 30, 2014. CTC would then adopt the final plan at its September 2014 meeting and submit the plan to the Legislature and stakeholders. CTC would be required to adopt an update plan every four years thereafter. This plan would help guide state and regional rail policy decisions. 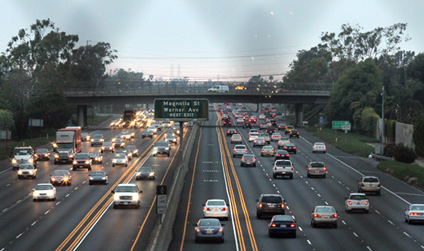 M21: In your view, how can Mobility 21 help the state of California to improve its transportation systems? MD: Mobility 21’s a seven-county transportation coalition is focused on developing transportation solutions for Southern California. Mobility 21 can best help the California Legislature by tapping in to its coalition of public, business and community stakeholders to pursue regional and statewide solutions to California’s transportation challenges. Your nonpartisan alliance can help the Legislature establish transportation priorities and seek to improve mobility not only in the region, but statewide. Support from Mobility 21’s Board of Directors and Advisory Board including its 17 associate partners from both the public and private transportation industry and leaders of Southern California’s transportation agencies and business organizations would be very helpful. Mobility 21 is uniquely situated to weigh in on this critical issue and I look forward to your participation in the public discussion of rail transportation policies. During a press conference on May 23, Senate Environment and Public Works Chairwoman Barbara Boxer (D-CA) announced the transportation bill conferees intend to have the bill on the president’s desk before June 30. Top left: Members of the Greater Riverside Chambers of Commerce meets with legislators during an advocacy trip to Sacramento. Bottom left: Mobility 21 Board Member and Orange County Business Council (OCBC) President & CEO Lucy Dunn meets with California State Senator Michael Rubio during OCBC’s annual legislative trip to Sacramento. Right: Governor Jerry Brown addresses the Los Angeles Area Chamber of Commerce ACCESS Sacramento delegation. Mobility 21’s business partners have been leading the charge in advocating for transportation in Sacramento and Washington, D.C. lately. 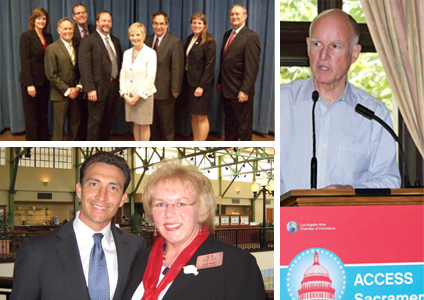 During legislative trips to Sacramento this month, the Los Angeles Area Chamber of Commerce, the Orange County Business Council (OCBC), Inland Action and the Greater Riverside Chambers of Commerce called on legislators to support Southern California’s goods movement infrastructure and to reform the California Environmental Quality Act (CEQA) process to help expedite transportation project delivery. In today’s era of limited financial resources, minimizing impacts to government budgets and maximizing job creation is paramount. Infrastructure projects are unmatched in their ability to help boost the economy immediately. Mobility 21 members agree that lawmakers in Washington, D.C. and Sacramento need to hear the business perspective on transportation. In today’s era of limited financial resources, minimizing impacts to government budgets and maximizing job creation is paramount. Infrastructure projects are unmatched in their ability to help boost the economy immediately. Mobility 21 Executive Director Marnie O’Brien Primmer joined OCBC’s delegation of business leaders and local elected officials in Washington, D.C. April 23-25, meeting with key members of the House Committee on Transportation and Infrastructure, as well as with Senator Barbara Boxer. Discussions included ensuring critical regulatory reforms and innovative financing programs remained part of the final transportation bill. 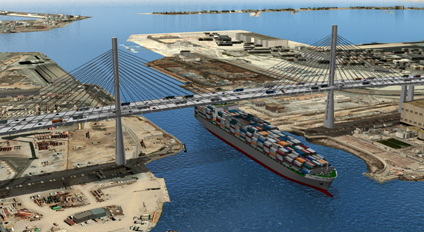 On Monday, May 14, The Long Beach Board of Harbor Commissioners approved the Port of Long Beach staff’s recommendation that the best value design-build proposal to replace the aging Gerald Desmond Bridge was submitted by the joint venture team of Shimmick Construction Company Inc., FCC Construction S.A. and Impregilo S.p.A. (SFI). The Board authorized staff to issue a Notice of Intent to contract with SFI, who qualified as the best value proposer by earning the highest technical score from the multi-agency Project Selection Committee and also submitting the lowest price proposal of $649.5 million. Final design will start soon after the contract is signed in July and construction kickoff is expected in early 2013. The total cost of the overall bridge replacement project is estimated at about $1 billion, including site preparation, demolition and other considerations. Major participants in the joint venture include Shimmick Construction Company Inc., FCC Construction S.A., Impregilo S.p.A., Arup North America Ltd. and Biggs Cardosa Associates Inc. The Project Selection Committee, led by the California Department of Transportation (Caltrans), the Port and the Los Angeles County Metropolitan Transportation Authority (Metro), formally opened the financial proposals on May 4, following a rigorous, months-long evaluation of the technical proposals received from three teams that had been pre-qualified to bid on the contract. The bridge replacement — designed to ease traffic congestion and improve navigational safety — is being jointly procured by the Port and Caltrans. The Port, Caltrans, Metro and the U.S. Department of Transportation are all contributing funds to the project. The Gerald Desmond Bridge is a vital link in the nation’s trade system and a major commuter corridor. But the bridge, built in the 1960s, was not designed to handle today’s traffic volumes and is deteriorating. The replacement project will ensure the safety of commuters and truck drivers and protect Southern California’s important role as a major trading hub. Construction of the new bridge is expected to take about four years and generate, on average, 4,000 jobs per year. Residents and commuters are invited to a series of public hearings to learn about the San Diego Freeway (I-405) Improvement Project and to provide comments on the draft environmental document. Transportation officials invite residents and commuters to public hearings next month to learn about the San Diego Freeway (I-405) Improvement Project and to provide comments on the draft environmental document. Caltrans and the Orange County Transportation Authority (OCTA) are in the environmental phase of improving the I-405 between the Corona Del Mar Freeway (SR-73) and the San Gabriel River Freeway (I-605). The draft environmental impact statement/draft environmental impact report is available for public review and comment through July 2 on Caltrans’ website. Alternatives include adding one general purpose lane in each direction, adding two general purpose lanes in each direction, adding one general purpose lane and one toll lane in each direction that will be managed together with the existing carpool lane or a no-build alternative. The I-405 is one of the most congested freeways in Southern California, with more than 300,000 vehicles traveling through the area each day. Traffic volumes are expected to increase approximately 35 percent by 2040. Caltrans and OCTA are proposing to widen the freeway to improve travel conditions for commuters. Comments may be submitted before July 2 by mail to Smita Deshpande, Caltrans District 12 at 2201 Dupont Dr, Suite 200, Irvine CA, 92612 or by e-mail at 405.dedcomments.parsons@parsons.com. 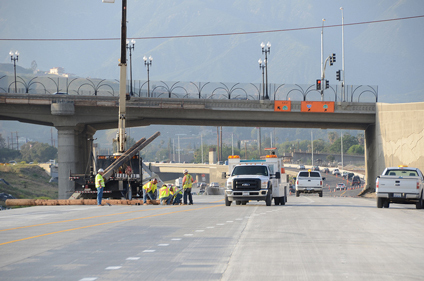 Construction crews prepare for the shutdown of northbound I-215 in May. The Inland Empire witnessed its own version of Carmageddon over the Cinco de Mayo weekend as San Bernardino Associated Governments (SANBAG) shut down northbound I-215 in San Bernardino as part of the I-215 Widening Project. On Friday, May 4, northbound traffic on I-215 was detoured off the freeway to make way for a weekend’s worth of activity. This closure kicked off a planned 55-hour schedule of work that included excavation, paving, striping, barrier placement, sign installation and detour management – all part of an effort to shift traffic on to recently completed pavement so crews could begin the reconstruction of the center portion of this north/south corridor. A major part of the effort focused on public outreach. The 215 Big Shift became the talk of the town as diverting traffic was critical to the team’s success of making the switch. Media crews from every major television station, print outlet and radio broadcast filled the airwaves with news of the weekend closure. As a result of the public heeding the warning to stay away from the construction zone, crews were able to finish the weekend work over 15 hours ahead of schedule and open the freeway to full operation by 1 p.m. on Sunday, May 6. For more information about the project or the 215 Big Shift, visit the project website at 215news.com. San Bernardino Associated Governments (SANBAG), Union Pacific Railroad (UPRR) and cities of Colton and San Bernardino held a groundbreaking ceremony today to mark the beginning of construction on the $29 million Hunts Lane Grade Separation Project. This major roadway improvement project will include the construction of a new bridge along Hunts Lane as it borders between Colton and San Bernardino just south of Interstate 10. The bridge will span over the Union Pacific Railroad tracks that currently cross at grade and have resulted in significant travel delays for vehicles traveling along Hunts Lane. The new overpass will include four total traffic lanes, a sidewalk in each direction and raise the height of Hunts Lane from just south of Riverwood Street to north of Oliver Holmes Road. In addition, new signals will be installed and Club Center Drive will end in a cul-de-sac as it approaches Hunts Lane from the east. Officials from SANBAG, UPRR, and the two cities were on hand at the groundbreaking to share comments and participate in a photo opportunity commemorating the kick off of the construction activity. For more information about this project, visit the SANBAG website at www.sanbag.ca.gov and click on the ‘projects’ page.